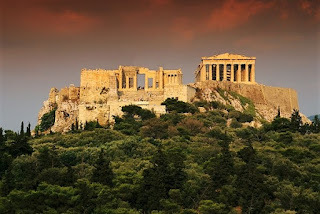 In classical Greece, the good city-state (such as Athens for a period of time) was based on the good lives of its citizens. This simply means that a state exists in order to make better lives possible for all, as an alternative to the earlier communities such as small family collectives and rural villages. 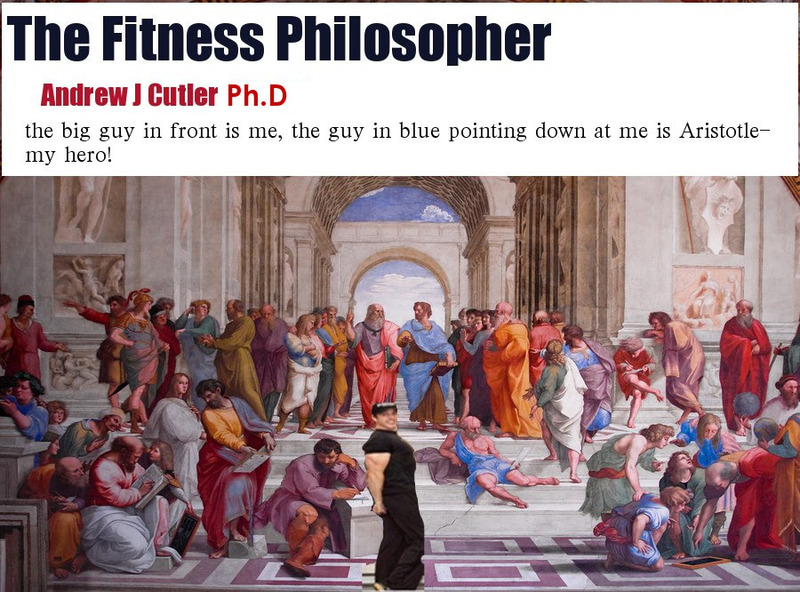 (Aristotle in his wisdom, does not make the silly mistake of modern philosophers like Hobbes, who pretend there existed some 'state of nature' in which individuals popped up and existed with no built in connections prior to forming various social contracts). I argue that the good lives of the citizens in a good state are based in leisure, as they are today. Leisure is based primarily on having relative wealth in a community to not just prevent one from having to engage full time in labour that degrades the mind, but also in having the character that chooses correctly- that is actually virtuous. Today most people no longer labour like they did in the past but manual labour and drudging work still exist. (No sitting in a heated office with a computer is not drudging work historically- think rather, those men who do the diamond mining in Africa as an example of hard labour today.) So while an important part of Aristotle’s good state is wealth- and he even offers some ideas on how one creates it- it must be noted that the pursuit of wealth was just another means to the end of a good life and was not an end in itself. The miser was not celebrated in Aristotle. Aristotle would not agree with Trump that the good life is simply the wealthy life. There are countless examples of miserable wealthy people historically. So when Aristotle says that εὐδαιμονία (happiness) includes many things, it must primarily contain enough wealth to gain some σχολή (leisure). This leisure time can then be used for certain activities that contribute to an excellent life. (The Greeks had the term a-skole for having to attend to business and social obligations and this is the literal opposite of leisure.) A life without proper leisure cannot be called a happy one- but it does not negate a life dedicated to a great cause or great work in which one might work very hard. When properly educated, one knew that the best use of leisure was for friendships and the speculative life of philosophy. 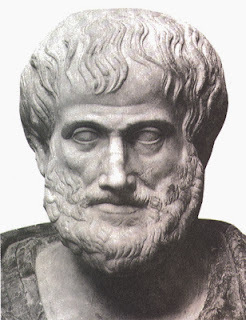 Aristotle writes in the Politics: “but leisure seems in itself to contain pleasure, εὐδαιμονία and the blessed life.” Εὐδαιμονία (happiness or the good life) results from having the leisure to engage in certain activities deemed good. The leisure to engage in them is necessarily dependent upon on a good social organization, including a proper education and at least some freedom from full time labour, meaning wealth. 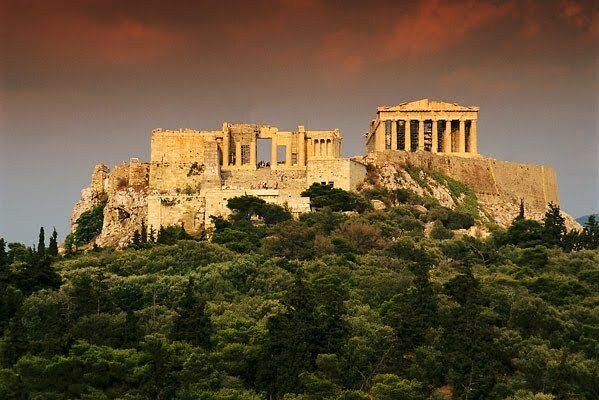 An issue of social justice was at the time only Greek noble males were really educated in the community, but today with many advances in human rights and equality, this is no longer the case in liberal democracies. …I do not have the leisure to engage in public affairs to any extent, nor indeed to look after my own, but I live in great poverty because of my service to the god. Furthermore, the young men who follow me around of their own free will, those who have most leisure the sons of the very rich, take pleasure in hearing people questioned; they themselves often imitate me and try to question others. Here Socrates denies he has leisure for public affairs or personal matters, and instead must participate in his ‘divine duty.’ The economic connection is made when Socrates says it is the sons of the very rich who have the most leisure, such as Plato himself, from a rich noble family. It shows that money is needed for leisure but can also be a burden as Aristotle emphasizes. Socrates emphasizes the same idea. Neither of them sees a point in the constant growth and chasing of excessive wealth. Too much wealth can create vicious amounts of competitiveness, greed and bring on the jealousy of others. It will be a distraction from political contributions, also from the arts, and from philosophy. Yet, Aristotle in his discussion of every detail offers three ways to gain wealth. The first and most natural is in the attainment of natural needs such as meat through hunting and fishing, or plants through agriculture and farming. Of course, a Greek citizen would have slaves and servants to labour for him. The second and intermediate way was through bartering these things on gained in farming or another natural way. This is the idea of the market and the exchange of certain goods for other goods, such as the exchange of wheat for olives. The third “unnatural” way was in the exchange of money, as a way of bartering goods and services. This distain for the exchange of money was part of the distain for commerce in general, which like labour was below the character of the good man. Although Solon in one of his poems said, ‘No bounds is set on riches for men’. But there is a limit, as in the other skills, for none of them have any tools which are unlimited in size or number, and wealth is a collection of tools for use in the administration of a household or a state. The common theme of Aristotle is not to become obsessed with any single component of the good life to the exclusion of others, and leisure was prevented by the constant pursuit of wealth. Aristotle’s main use of this type of life is as a type of contrast to better ways of life. The problem was not that one was being paid to do something, but that all of a sudden the action may become restricted by external factors. This may be the tension of having spectators, or being forced by certain outside agendas to rush and this will prevent the leisurely attitude. Certain issues like professionalism (just like classical labour) can hinder the timeless and leisurely quality of an activity. Therefore, even if leisure can include work, work may have external constraints such as time limits, which becomes an obstacle, making the work less leisurely and falling into labour. Even in the case of some of the sciences that are suitable for a free person, while it is not unfree to participate in them up to a point, to study them too assiduously or exactly is likely to result in the harm just mentioned. This notion of not allowing anything to be all consuming is a common theme for Aristotle. A prime example for him was found in the early athletic competitions, which gave natural gifts such as laurel wreaths as prizes, but this devolved eventually into monetary prizes. The monetary prizes which devalued the activity from a philosophical point of view. Being paid as a motivation to compete and win was equivalent to a Sophist taking money in the name of creating a clever argument. When money gets involved, both Plato and Aristotle think that a necessary degradation will occur since the action falls back into the world of labour and necessity, the animal world.